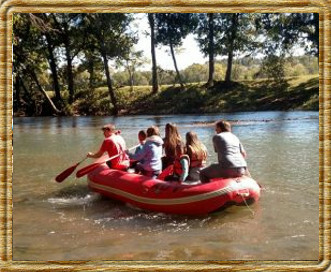 Adventures Float Trips offers Rafts, Canoes, and Kayaks for a great price, and offers extras like shuttle service and multiple float trip times, all in a family-friendly environment everyone will enjoy. Please call to inquire about our discounts for Scouts and Church Groups. 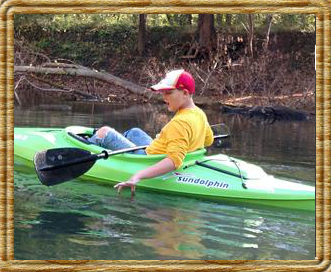 10 or more Canoes– $33.00 ea. *Discretion of owner for sit-inside kayaks. 2 person maximum adult capacity– $65.00 *Limited availability- weekdays only, or by discretion of owner. *Please note that raft capacity is based on average to small-sized adults plus room for a regular-sized cooler. Absolutely No Dogs Allowed in Rafts. Exception by discretion of owner only. 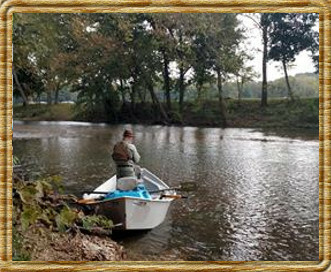 No matter if it’s you’re first time on a river or if you’re an experienced fishing guide, Adventures Float Trips can get you, your boat, or your vehicle safely from point A to B. We shuttle from Bennett Springs to Barclay, or from Moon Valley to Bennett Springs. Any points North of Barclay such as Leadmine, or South of Bennett Spring such as Williams Ford will be an additional $10.00. Float trip times range from 8:30 am until 1:00 pm. Float miles are determined by put-in time. 7.5 miles 4 to 6 hours or more. 15 miles 8 to 10 hours or more. Good for an overnight float by special arrangement. 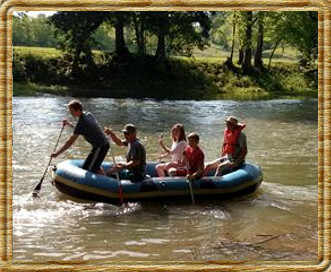 The guidelines we have set for the float trip are designed to insure a safe float for you and considerate working conditions for the ADVENTURES Work Staff. All boats for the 7.5 mile float, must be on the water between 8:00 and 11:00 a.m. All boats for the 4 mile float, must be on the water before 1:00 p.m. (early or later floats, can be made by reservations and special arrangements, and are dependent upon other float schedules). No glass bottles please. It’s the law. Do not litter the river or the land. All floats must be at take-out point by 6:00 p.m. Late take out will be charged a second day rental per boat! All boats must end up at designated take out point (no exceptions). No dogs allowed in rafts. You are responsible for all equipment rented to you. Charges apply for broken and / or lost paddles and life jackets. 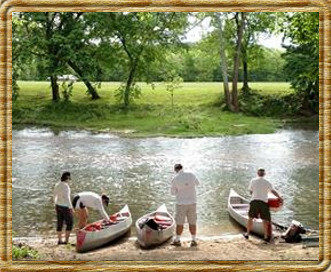 Normal wear and tear on canoe, raft and kayak is accepted.